Creating a Facebook business page might be the answer. In 2011, a Social Media Marketing Industry Report claimed that 78% of marketers who invested in social media achieved an increased traffic with only six hours a week of use. Of course, it is not only about creating a business page on Facebook it is important to focus on where you will see results and develop an efficient plan to make your social media strategy a success. Your answer to these questions will help you assess and define your social media strategy. While setting up a Facebook business page is free, you still have to spend money on promoted posts or sponsored stories to make your business stand out from the other businesses on Facebook who are also seeking attention from the larger audience. Spend time researching when your target audience is active on Facebook. Your promoted posts or sponsored stories will be of no use when they are busy either at school or work. Allocate time to connect with your audience. The key here is consistency. Interact with them at a steady rate where you don’t have to flood their news feed nor be inactive. Make sure that you connect. You must commit to build a relationship to your customer, audience or followers. It does not only mean investing quality time to your Facebook business page but it’s the intention to build relationships and interact with your customers. Remember the number of your followers or fans is irrelevant if you do not interact with them. It is common knowledge that good communication is a fundamental part in any relationship. That is why it is very important to communicate with your audience. Interact with them maybe not on a daily basis but make sure that you are constantly updated about them. Determining your goal and having realistic expectations will allow you to build a lasting relationship with your audience. 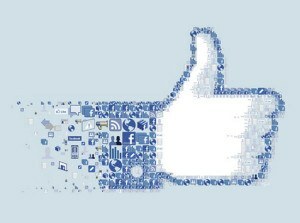 And because Facebook is a massive site, a well-planned social media strategy will get you through effectively.